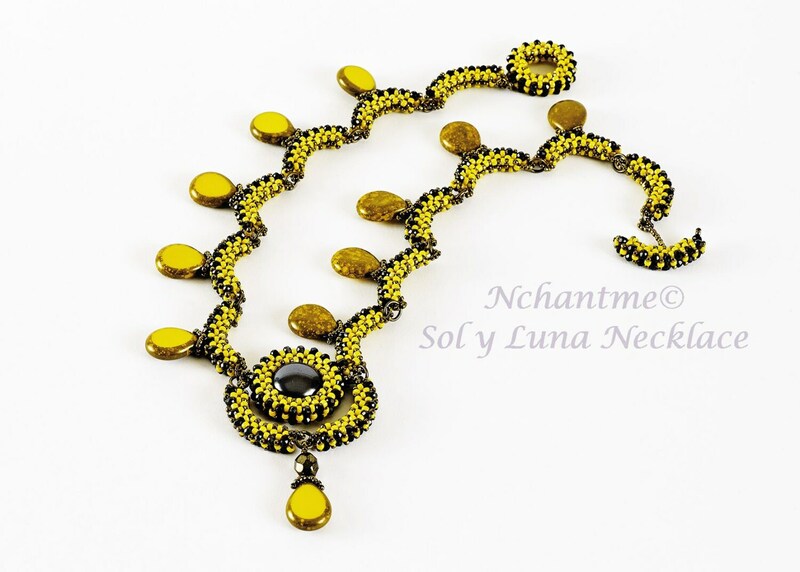 Sol y Luna means 'sun and moon' in Spanish. 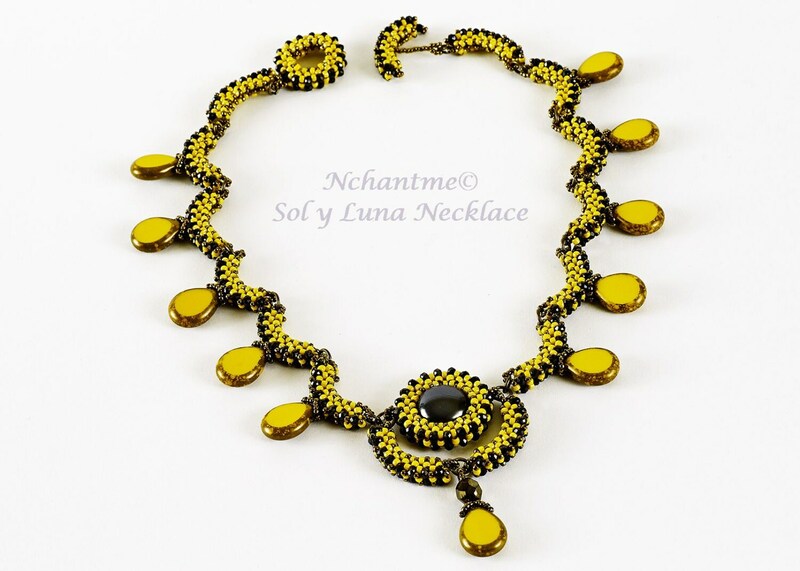 Sol y Luna Necklace draws inspiration from the sun, the rain drops, and my favorite lunar phase, the crescent moon. 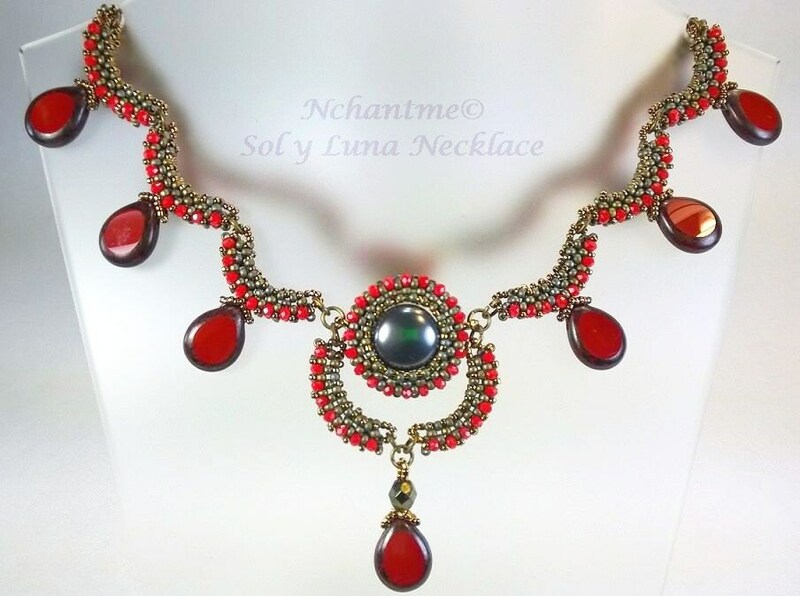 Sol y Luna is a delightful and flirty necklace that features several tear-drop shaped table-cut beads dangling from crescent moon-shaped components. The pendant is round like the sun with a coin pearl bead in the center. 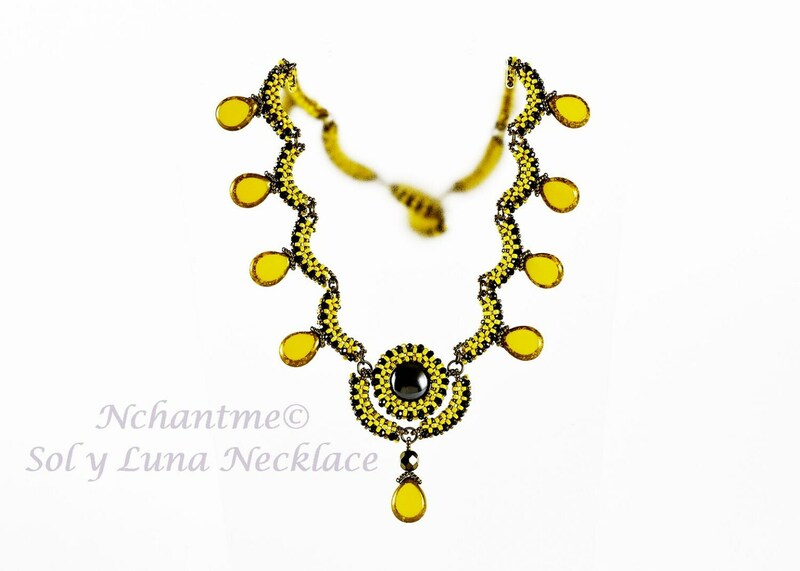 This necklace is reversible too! Tutorial includes 53 colorful and clear illustrations with text. Finished Length: 16 inches, pendant drop 2 1/2 inches. Techniques: Right Angle Weave, Peyote, and other stitches.